Skincare is something that I’m becoming more passionate about. Recently I’ve been doing a lot of different research and there are hundreds of different skincare brands. Countless daily routines, that it can get confusing. When I discovered VII Code brand and I was instantly interested. Even though I’ve tried several skincare creams, it was difficult to find an eye cream that I loved. What caught my eye was their T2 Aristocratic Skincare Oxygen Eye Cream. This luxurious formula was developed more than 250 years ago by Byrn Victor, famous skincare doctor. Only royalty used to be able to use the formula, including Napoleon Bonaparte’s wife Josephine. 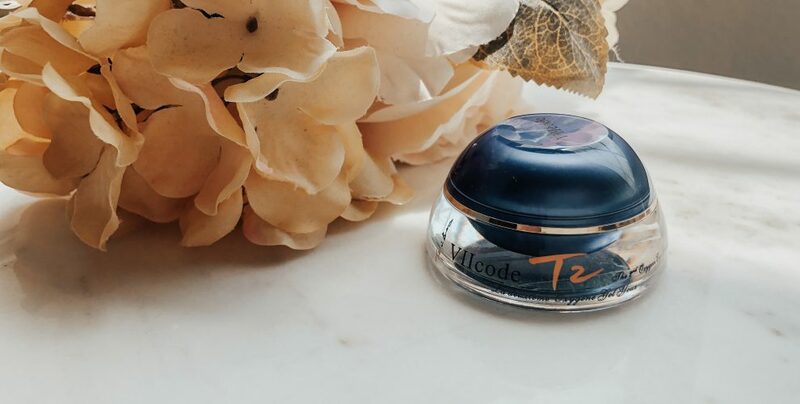 VIIcode T2 Eye Cream is known for the self-healing energy that activates skin’s natural repair system. The cream is rich and not greasy. I’ve used the VIIcode Eye Cream for over 2 weeks and already started to see the difference. Having a baby, a good eye cream is worth investing in! I apply this cream in the morning and at night to improve my circles and discoloration under and around my eye area. I even love the scent of this cream. Some eye creams that I used before would actually dry out the area I would apply the cream. And my skin is pretty sensitive, that I was difficult for me to find a perfect eye cream. I was hesitant to try VII T2 Eye Cream, because of my past experiences. But surprisingly, after using it over 2 weeks I see a difference already. And I look less tired in the mornings (: Definitely a product worth investing in! Click HERE to get your own VII T2 Eye Cream!